Hillary Clinton is beginning a tour of the United States as her bid to become President starts in earnest. The former Secretary of State will be attending her first events in Iowa this week, after launching her campaign yesterday. 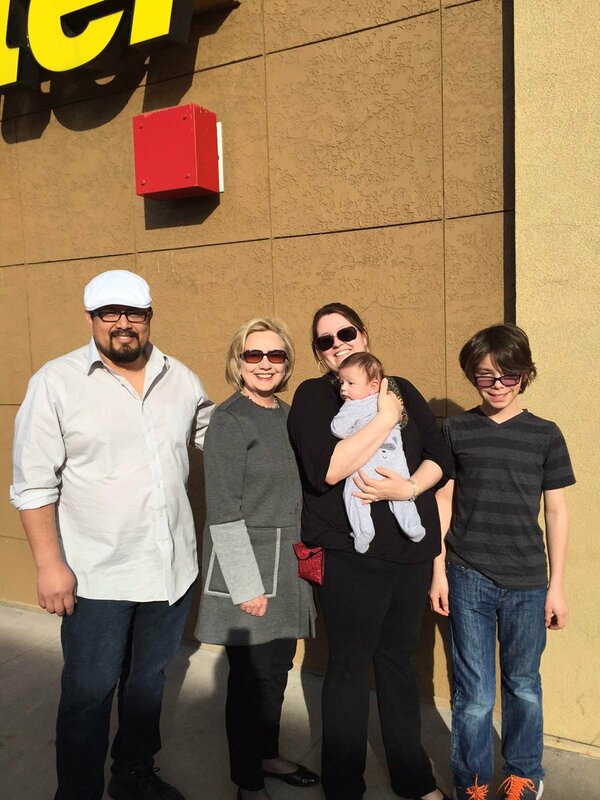 She tweeted from a stop in Pennsylvania: "Met a great family when we stopped this afternoon. Many more to come." The former first lady Hillary Clinton has officially declared she wants to become the next US President. In a video message she announced her intention to run for the Democratic nomination in 2016, telling Americans she wants to be 'their champion.' Mrs Clinton lost out to Barack Obama who won the nomination in 2008 and he's now endorsed her candidacy. Former US secretary of state Hillary Clinton has announced her decision to run as a candidate in the 2016 presidential race. On her official website, Ms Clinton says that she wants to be the "champion" of the American people. Hillary Clinton would be an "excellent president," US President Barack Obama said on Saturday, one day before his former secretary of state is expected to announce her campaign for the White House in 2016. Hillary Clinton is due to announce her intention to seek nomination to run for president for the Democrats on Sunday. The former US Secretary of State is expected to make the announcement through video and social media, a party official said today. Following the announcement, she will travel to the key voting states of Iowa and New Hampshire, the source, who is close to Clinton, said. "She's expected to make her intention to run known on Sunday," the source said.